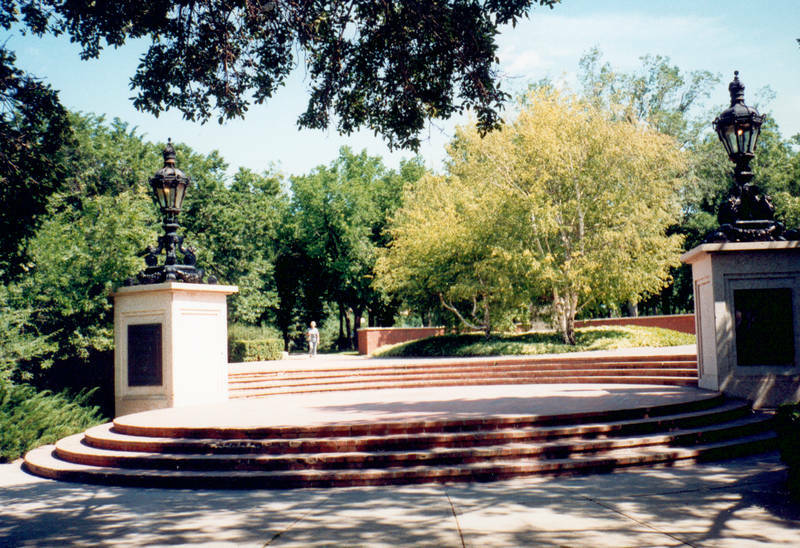 In the southwest corner of Wascana Park an historical link with the past was officially dedicated on April 12, 1966. Speakers' Corner was dedicated to the people of Saskatchewan by the Earl Mountbatten, Admiral of the Fleet of Burma during World War II. It serves as a constant reminder of our heritage of free speech and assembly and as a tribute to Saskatchewan's people who have upheld that heritage. There was the need to accommodate the concept within an area which would not seriously affect existing trees and shrubs in the park. The cairn already existing in the area would have to be incorporated into the overall design. Finally, the design would have to resolve a fairly rapid change in elevation of approximately four feet. 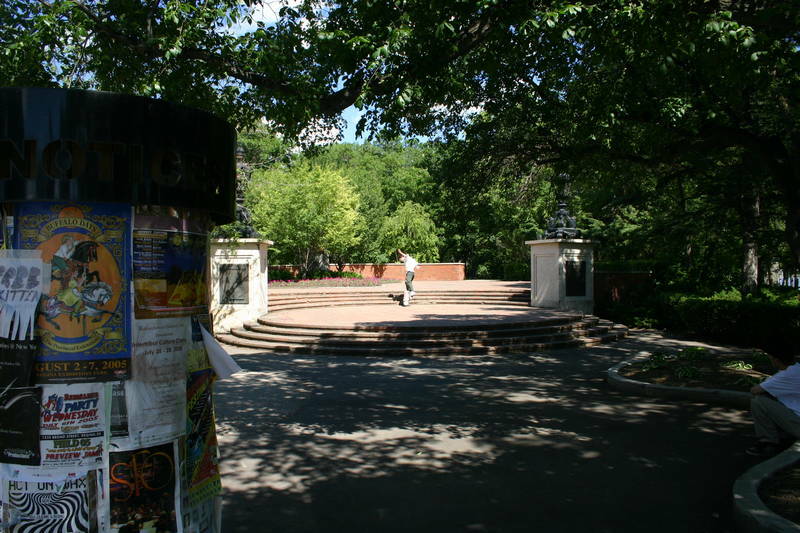 A large circular design for the main plaza area seemed to best accommodate the existing trees, walks and the cairns. By repeating the circular design in the approach area and allowing it to flow into or intersect the main plaza circle, steps could be readily adapted to resolve the difference in elevation. 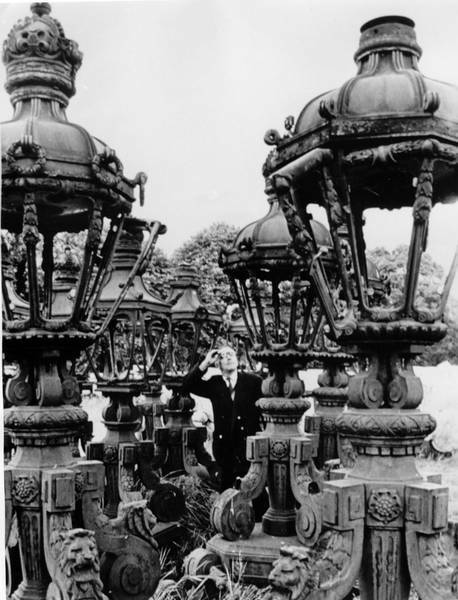 Two large lanterns would be located at the widest points of intersection. At these points of intersection, pillars were designed upon which the gas lanterns would rest to more closely resemble the height and scale at which the lanterns originally stood in England. The two lanterns framing the south entrance to the main plaza formed part of the Cumberland Screen at the entrance to Speakers' Corner in London, England. The screen, named in honour of the Duke of Cumberland for his part in the Battle of Culloden, stood at the Marble Arch entrance to Hyde Park from 1907 to 1960. Hyde Park is said to represent the apotheosis of free speech and assembly. The walls projecting from these pillars around the outside perimeter of the main plaza, although appearing high from the main approach, are at bench height in relationship to the main plaza. The circular wall on the Wascana Park side has been used to define the limits of the main plaza and accentuate the round form and limit the view as one approaches through the main entrance. The brick surface and walls were initially intended to be constructed out of brick from the Old Court House in Regina because of the connotation of justice and free speech. However, selection and cleaning of the old brick proved to be excessively costly. The brick chosen has an earthly association and the Tyndal stone an historical connotation. The podia on the main plaza are from the exterior columns of the Old City Hall (1908-1965) and symbolize free speech in democracy at the municipal level of government. 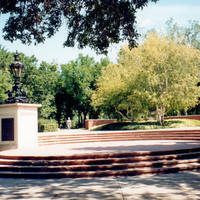 The previously existing cairn is located near the middle portion of the main plaza. It was also considered desirable to retain the park-like atmosphere in the immediate vicinity of the cairn, and for this reason the free form curb was used around it. Six paper birch trees, originally planted around the memorial cairn to Saskatchewan pioneers, were taken from Runnymede Meadow in Great Windsor Park, Royal Estate near Windsor Castle. It was there that King John signed the Magna Carta on June 15, 1215. 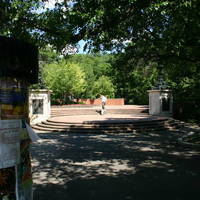 Various other elements in Speakers' Corner emphasize the theme of the importance of freedom of speech and assembly in a democratic society and document the historic development of individual freedom. 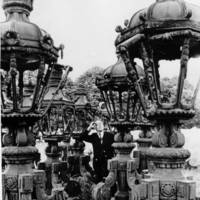 The ten gas lamps surrounding the corner come from King Charles Street which runs from Whitehall to St. James Park, London, England near the Houses of Parliament. They were erected in 1908 during the reign of Edward VII, whose royal insignia E.R. VII appears on the base of each lamp.